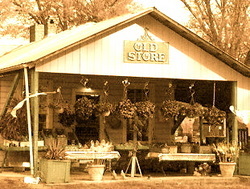 Old Store Produce is located in Huntersville, NC. We have been in business for over a decade, providing citizens of Huntersville and the Lake Norman community with local and fresh goodies! Our main focus is dealing with other local/small companies and bringing to the community quality goods, separating us from the grocery stores! We own Hubbard Farm, which is right across the street from the store and grow most of our items when they are in season. We also offer a CSA program through our farm, please visit the tab above for more information.